In the first book, Rose was thrilled to be selected for a position as a housemaid for a prominent magician. As an orphan, her dream was to get out of the orphanage and earn her own living. But when she discovered that she has an inherent talent for magic, Rose had mixed feelings. Magic is exciting, but also so far outside her experience that it makes her uncomfortable. Although Rose is now an apprentice to the magician, Mr. Fountain, she wanted to keep her position as a housemaid in the house. Besides providing her income, she's not quite ready to let go of her ordinary, normal life. But now that the other servants know that she is magic, they don't want to have anything to do with her. Most ignore her, and some are actively antagonistic. Only Bill the houseboy is still friendly. To make matters worse, there is a growing anti-magic movement in the aftermath of the events of the first book. It's not a good time to be a magician. People are blaming the early winter and heavy snowfall on magic, and when the beloved Princess disappears, and is found again, the whole country is in a frenzy, convinced that magic is involved. The King is worried that there will be another attempt on the Princess, so Rose is sent to the palace to stay with the Princess, because as another young girl she can provide some magical protection while seeming to be an ordinary housemaid and companion for the Princess. 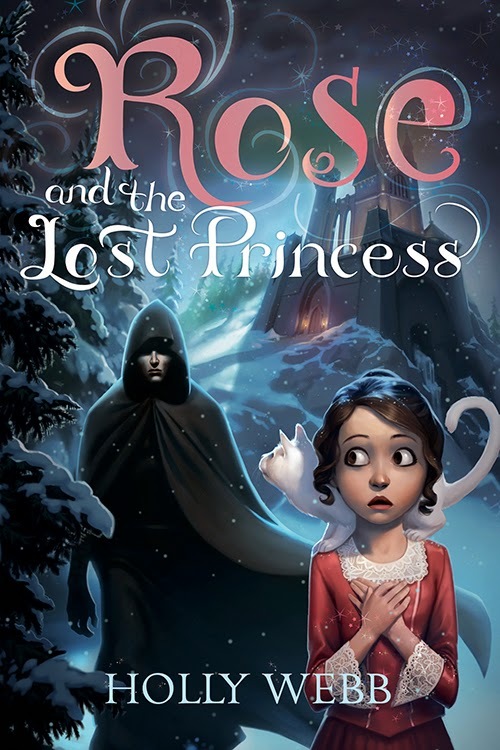 Rose and the Lost Princess is a delightful book that I enjoyed even more than its predecessor. Rose is such a great character. She loves the magic, and yet she's a very no-nonsense, practical girl. She's what Mary Poppins might have been like as a girl. The book is extremely well-written and immersive. There's gentle humor, much of it provided by Gus, the magical cat. In many ways it's a perfect middle-grade novel. Even as an adult I quite enjoyed reading it, and I'm looking forward to future books in the series. I didn't see any diversity of color or ethnicity, but then, Victorian-type settings tend to be pretty monochrome. Sexuality simply doesn't come into the book, other than Rose's hand on Bill's arm at one point, so there's not really any opportunity for sexual diversity. There is diversity of class, and in fact class is one of the themes in this novel. As a servant who is also an apprentice to a powerful magician who is a councilor to the King, Rose is caught between classes in a most uncomfortable way. The lives of both the upper and lower classes are vividly portrayed, from the glittering palace to the lives of Mr. Fountain's servants downstairs. The effect of power on the powerless is shown in small ways, including the house manager's not-so-subtle threat to a servant who is threatening to leave, "How will you get a new position without references?" My review of Rose, the first book in the series.